21 States Now Want To Secede From U.S.
Not that it will ever happen. No Federal government will grant secession to any state, nor do I believe, with the possible exception of Texas, do the majority of people seek this as a solution. After all, we don't want to leave...we want Obama and his merry band of crony infiltrators to leave. This is however, another marker or measuring stick of how disgusted American's are at this government. -W.E. 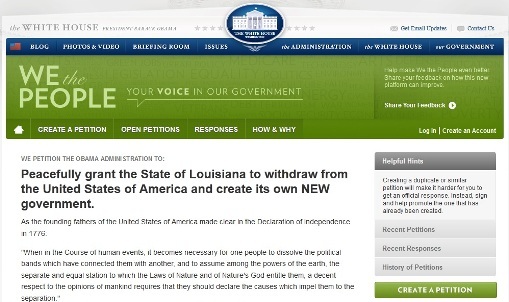 Since WND first reported that residents in the state of Louisiana were petitioning to secede from the U.S., residents in over 20 more states have filed requests with the White House to peaceably break from the union. Residents of other states, however, have chosen different wording. As WND reported, the first of the petitions was filed the day after the 2012 election by Michael E. (full last name not provided) of Slidell, La. 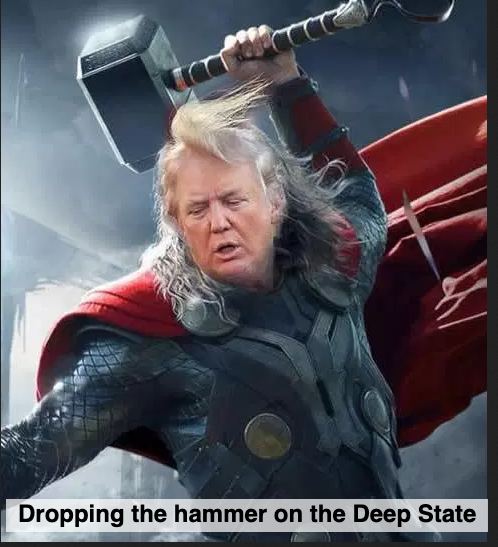 Once the White House does draft a response, it has pledged to send it via email to everyone who has signed the petition (registration on the site with a valid email address is required to sign petitions). To view or even sign one of the petitions, click here.